If there’s one thing all living beings share, it’s the urge to keep on living. But who wants to live forever if it’s accompanied by a litany of ailments, pains, stresses, and suffering. Nevertheless, the dream of eternal youth has been the subject of legends across cultures, in one form or another, for thousands of years. The point is that eternal youth existed only in the realm of dreams, of legends—until now. 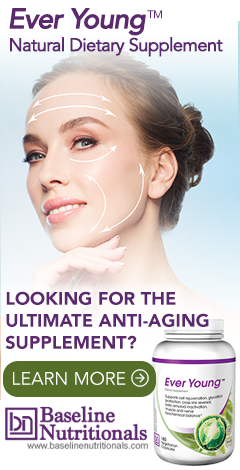 It seems that science may finally be on the verge of discovering a way to stop the aging process. According to a paper in Nature journal, researchers at the Albert Einstein College of Medicine in New York have identified the stem cells responsible for the aging process.1 And what they have discovered, they hope to manipulate. The specialized “aging” cells reside in the hypothalamus region of the brain, a part of the brain only about the size of an almond, but with a huge job. The hypothalamus regulates hormones, blood pressure, body fluid levels, and generally keeps things in balance while running interference between the nervous system and endocrine systems.2 In research on mice, scientists discovered that the hypothalamus also houses these aging cells, which die off as the mice get older, and are completely gone by the time the mice reach middle age, which for mice, means two years old. To find out if the cells were simply victims of the aging process versus being responsible for it, the scientists disturbed the cells in middle aged mice and found the mice got old a lot faster. In contrast, when they replenished the cells, the aging slowed way down, adding up to 15 percent more lifespan to the happy rodents. According to lead researcher Dr. Dongsheng Cai, "Our research shows that the number of hypothalamic neural stem cells naturally declines over the life of the animal, and this decline accelerates aging. But we also found that the effects of this loss are not irreversible. By replenishing these stem cells or the molecules they produce, it's possible to slow and even reverse various aspects of aging throughout the body." In other words, the fountain of youth doesn’t seem to be a fountain after all, but rather a molecule or cell in the brain. The next step in the research will be to implant human brains with the stem cells, and right now, the scientists are growing a supply of neural cells to use for this purpose.3 Meanwhile, the researchers are trying to pinpoint the exact features of the cells and the nature of the cell processes that control the aging effect. If it goes the way they hope, our kids might live long enough to colonize galaxies beyond Mars. While you’re waiting for your stem cell brain implant, however, you might want to take note of a simpler, more immediate lifespan booster that research just confirmed. A study out of the University of Illinois just last month found that lutein, which is found in leafy greens as well as in Jon Barron’s ultimate antioxidant formula, is associated with slower cognitive aging.4 In the study, those participants with higher lutein levels performed cognitive tasks with far more youthful success than those with lower lutein levels. The only way to up lutein intake is through eating foods containing it or to take lutein-containing supplements, since the body doesn’t manufacture it on its own. Foods highest in lutein include kale, chard, collards, spinach, broccoli, Brussel sprouts, basil, lettuces, summer squash, asparagus, green peas, leaks, snap peas, and green beans.5 It’s well worth paying attention to this nutrient, since, as Jon Barron has mentioned in the past, lutein also protects against macular degeneration and cancer, and may even prevent cataracts when used in combination with the antioxidants bilberry and zeaxanthin, and vitamin C.
And, of course, there’s always L-carnosine, which as Jon Barron has explained, is currently the king of anti-aging supplements—capable of extending cell life and the appearance of youthfulness, as well as protecting against cardiovascular disease, cancer, and brain aging. The irony is, of course, that as one set of scientists discovers the holy grail of eternal youth, another set is busy predicting our inevitable doom as a species. Reports last week indicated that climate change is accelerating even faster than expected. “Hopes that the world’s huge carbon emissions might not drive temperatures up to dangerous levels have been dashed by new research,” begins an article in The Guardian.6 Meanwhile, CNN reports that global temperatures will warm by a deadly two degrees by the end of the century.7 In other words, just as we, as a species, are on the verge of discovering how we might stop the aging process, or at least dramatically slow it down, the earth may be becoming a much less pleasant place in which to spend eternity. And by the way, has anyone figured out what to do about your nose and ears if you live forever? Remember, they keep growing as you age. Live long enough and you’ll be tripping over your earlobes as you walk, not to mention smashing your nose every time you turn a corner. But that’s a dark view. You might as well feel good while you’re here and stick around as long as you’re able. Until those stem-cell brain implants are ready and affordable, your best bet is to follow the Baseline of Health regimen—eat right, exercise, detox regularly, supplement what your diet doesn’t provide, and adopt a don’t-worry-be-happy attitude—while simultaneously reducing your carbon footprint in whatever ways you can. Ageing is a natural process designed by God. Whatever may be our scientific stunts, do you think ee can surpass divine designs and win over Him? I don't believe the global warming news. New glaciers are forming all the time. Actually, I don't believe hardly any so-called news anymore, since most of it's bought and sold and fake.